*I didn’t have any chews left. Just gels. And jelly beans. So, I was starving at km 12. *It was hot and humid out and I ran out of liquids at 21k. I couldn’t get a refill to 28k. *I got stung by a bee above my left ankle at km 23 and that took the wind out of my sail. It affected my gait. It was painful and hard to focus on my form, running etc. I have concluded I am part baby….. The only reason I am doing this is not because I love it or even like running this distance. It is out of love and respect for my Uncle, Brian the great, to help continue his vision and legacy with the Niagara Children’s Museum. That is the lonely reason why I am doing this. Love. Not for running, but for a person…. As we head into the middle of September, I am full on neck deep into the big distance of my training as I prepare to run the Niagara Falls International Marathon at the end of October. For those new to reading this blog, these posts all started out of documenting my journey of running my first marathon, in my hometown, in memory of my Uncle, Brian Smylski, formerly the curator and artistic director of the Niagara Falls Children’s Museum, who succumbed to Non Hodgkins Lymphoma in March 2011. That took place in October of 2013. 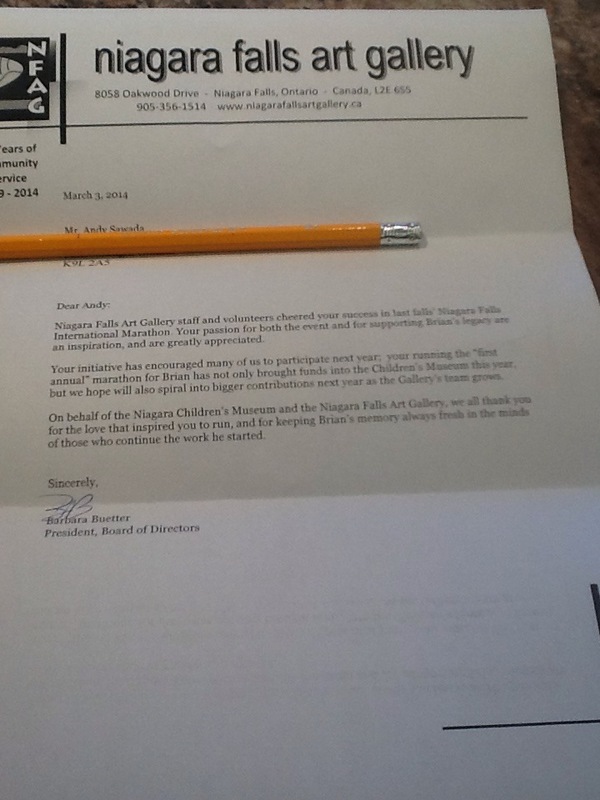 The intention was to run in his name and memory and raise some much needed money to support educational programming at the Niagara Falls Children’s Musuem. The response was overwhelming. Thanks to the generous donations from my family and friends, we were able to raise much needed funds to support the innovative and creative programs at the Niagara Falls Children’s Museum, but also to continue Brian the greats legacy. Last October, when I crossed the finishing line by clicking my heels together (there is no place like ‘home’ – the finishing line), there was no second marathon. I was done. Painfully done. I had run a marathon with a post tib tendon injury. It wasn’t fun. It was painful and I hurt. But I accomplished the goal that I set I out to do. Run a marathon and do it in memory of someone that that meant a tremendous amount to me and the community that I call my hometown (Niagara Falls). I returned home, took a ton of time off from running (a good four months), healed my wounds, spent time with my family, rediscovered what a television and a couch where and enjoyed eating chips (in moderation) and beer (sometimes in moderation). I then determined that I would train for an half iron distance (run 2km, bike 90km, run 21.1 km) duathlon to compete in locally and maybe a few smaller distance triathlons/duathlons. Nothing serious. Just something to give me a goal towards training for. That all changed when I got this in the mail. The moment I finished reading this, I called out to my wife and told her, ‘well, it looks like I am running the Niagara Falls marathon again this year!’ I had inspired others by doing what I did. 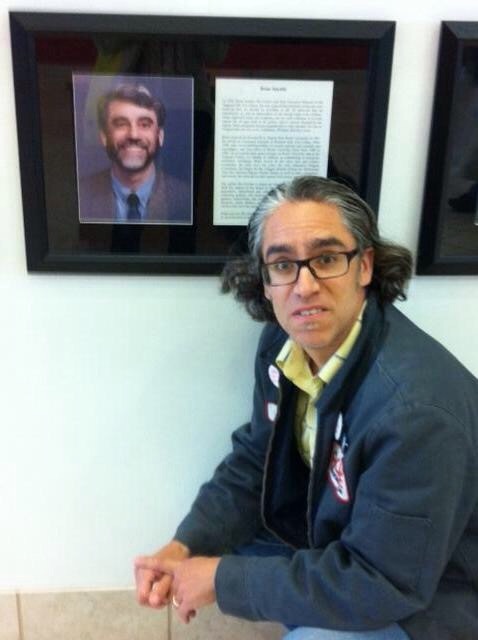 Because of that, the team of one participating in running in memory of Brian the great grew. My sister is doing the 10k. She isn’t a runner but will be walking it. As well, museum staff and Deb the great will also be participating in some aspect, either running or walking! I have also a few friends that have expressed interest in running 5k, 10k or the full marathon. I am thrilled that people would consider doing that with me, for me, for our community, for the legacy of Brian the great and to financially support the Niagara Falls Children’s Museum! I honestly don’t know if I can commit to training every year for a fall marathon. September is one of my ‘busy seasons’ at work and my training volume is down this year (but I have also been riding my bike to work). This is also the time of the year I do the core chunk of my long runs to accumulate mileage. It takes a big toll on my family when I have to run 3-4 hours on the weekend because that is time I could be doing something with them. They are understanding, but I know my wife will be happy at the end of October when I again resume my rest and relaxation in the off season. There will be more to come. Stay tuned and please don’t be shy about sharing this blog with anyone to help spread the word about our run and to inform people of the legacy of Brian the great! Hope all of you are well and you are all happy and healthy since the last time I have blogged. 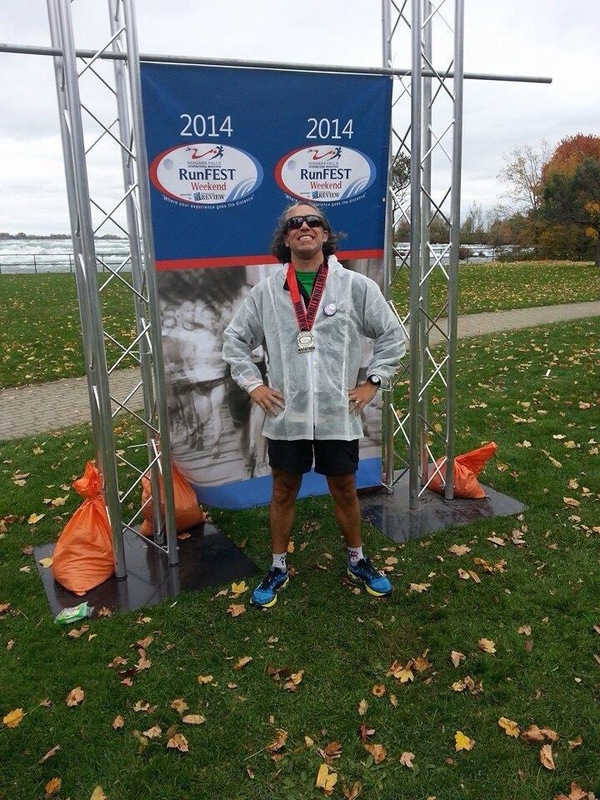 As most of you know by now, my journey to completing the Niagara Falls International Marathon is over. After an injury plagued final few weeks, I painfully completed one of the hardest things I have ever physically done in completing a marathon. It was emotionally and physically demanding and exhausting, and due to injuries, I took some time off over the off season to recuperate…and recuperate I did. I took up some new hobbies, like watching television, eating chips and drinking beer! I have run only three times since October. The first one was a painful 4 k, which led to new shoes. The second and third were getting me back on the running wagon and that takes where I am today. I have cross country skied and enjoyed regular rides on my bake on the trainer in the basement, but am nowhere near any physical condition to run longer than 5k! Last week at this time, I was preparing myself for March Break and then starting my training schedule to complete a half iron duathlon in early July in my current hometown of Peterborough Ontario. I run 2k,bike for 90k and then run a half marathon (21.1k) A big challenge, but I am ready to get back on my bike and ride the roads and toss in some 1/2 marathon training as well. That was my plan. Then this came in the mail. So, my mind started to run (at least something is) and decided that if friends and family of Brian the Great are going to keep the traditional alive and make this an annual event and run (a variety of distances) at the Niagara Falls marathon, then I am in…and if I am in, I want a better experience than last year! So, I hereby declare that in October 2014, I will be running the Niagara Falls International marathon again in honour and memory of Brian the Great (as well as to raise money in his name for the Niagara Children’s Museum). Let the pain begin, but that is a story for next time!